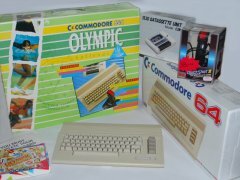 De Commodore C64c - Olympic Challenge is een speciale editie. 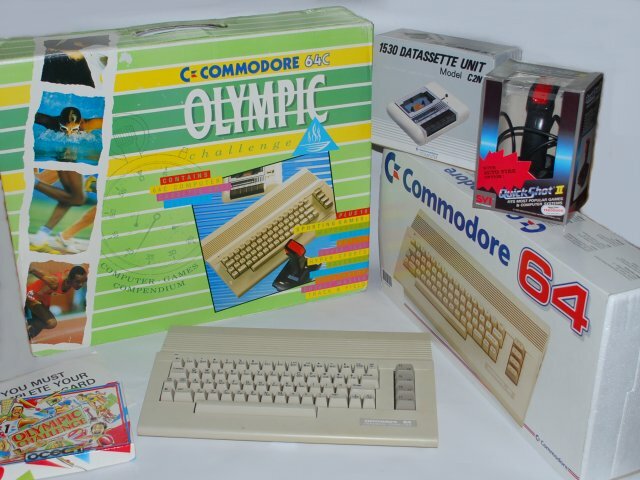 C64c, 1530, QuickShot II joysticks en software pakket in een verpakking. Spellen zijn een Ocean 4 cassette compilatie: Daley Thompson's Decathelon, World Series Baseball, Macth Point, Match Day II, Track and Field, Barry McGuigan's World Championship boxing, Basket master, Snooker, Daley Thompson's supertest and Hypersports.